The JENSEN® JCR-370 Digital FM Mood Lamp Dual Alarm Clock Radio will literally brighten your day with its color changing LED and an easy-to-read 0.7” blue LED display, and easy access top mounted touch controls. 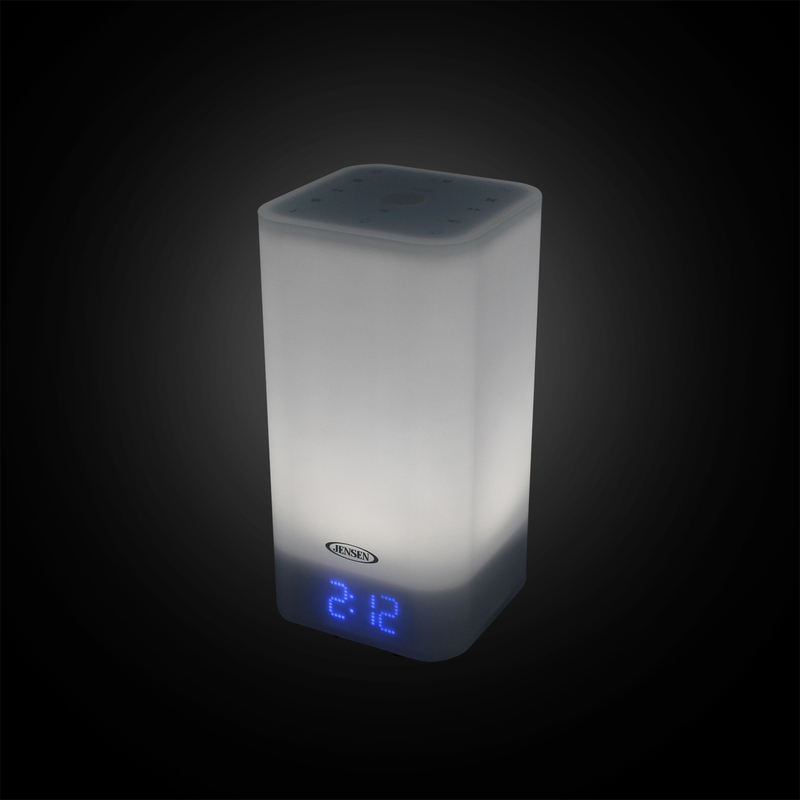 This model has a lot of unique features that set it apart from other clock radios, such as soothing nature sounds (Brook/Bubbles/Forest), a multi-color LED mood lamp and built-in 1 amp charging port for charging your phone while you sleep. 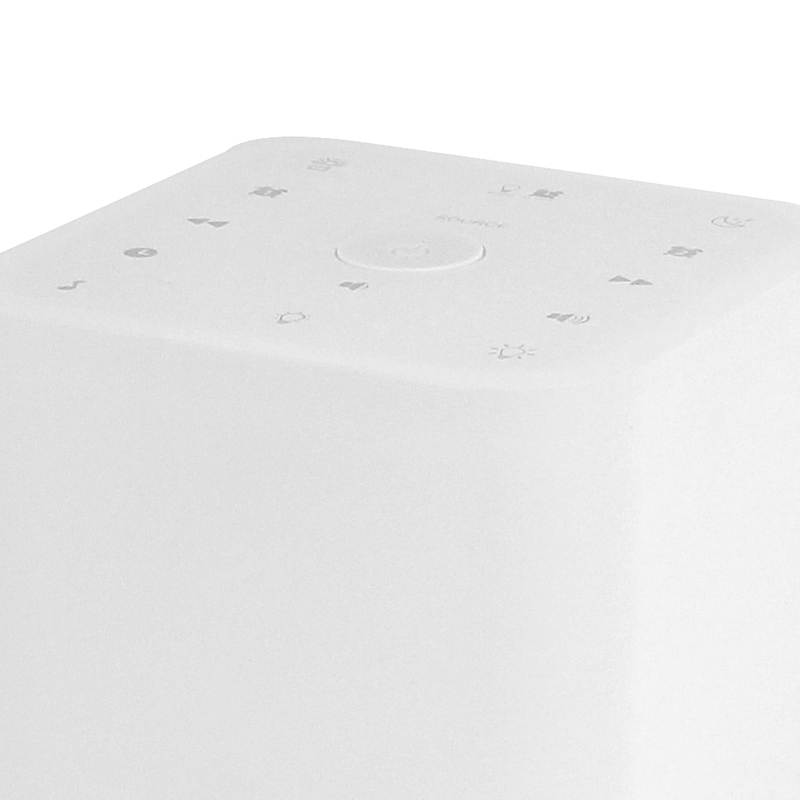 This device also features a white LED lamp with twenty (20) levels of brightness, snooze function, and high-low dimmer control for day or night adjustments. You can listen to your favorite FM or connect your iPod®, MP3, or other digital media players into the auxiliary input jack if you want your own listening mix. 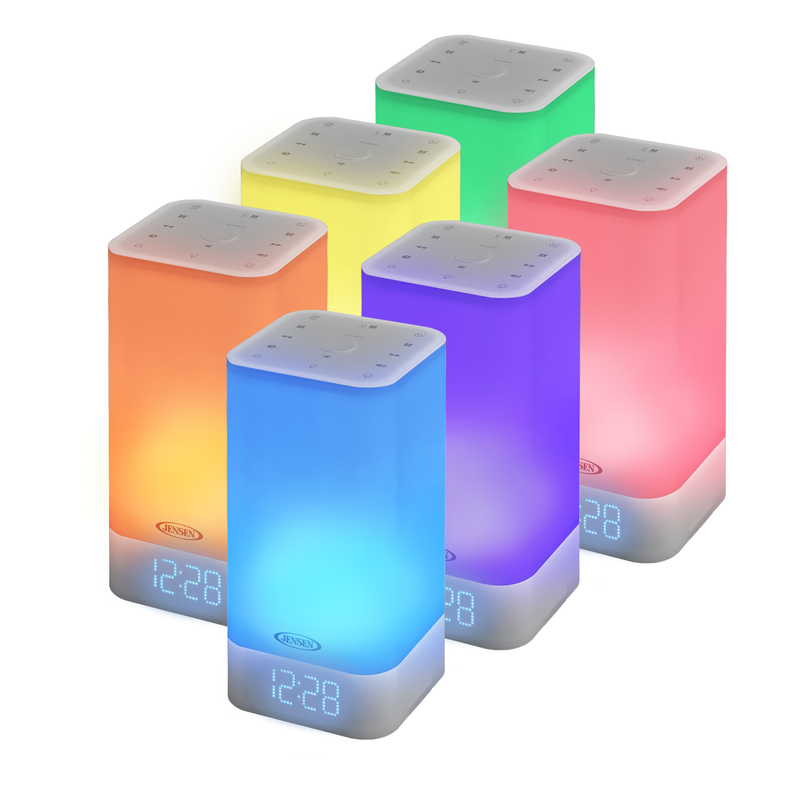 If you do not like waking up to radio or alarm sounds, you can gently wake to the LED lamp or mood lighting starting thirty (30) minutes prior to the set alarm time. 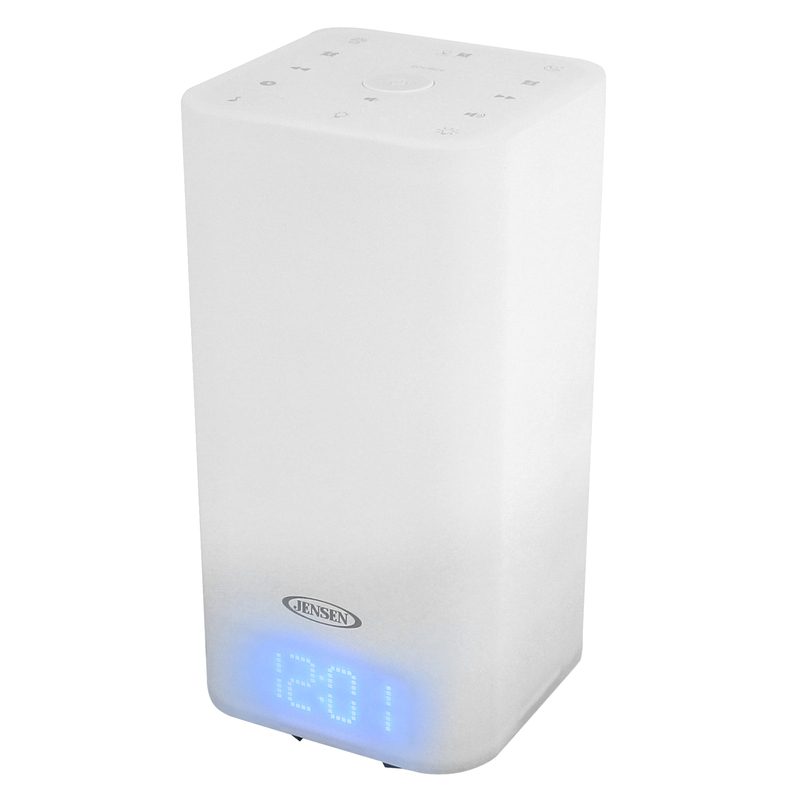 The JCR-370 operates on 120V AC power and includes a battery back-up feature for saving the clock settings if the power goes out (battery not included).